Q&A with director Samir Oliveros follows the film. After their latest row results in them accidentally killing a bearded goat with their father’s truck, Corn and Rita must find a way to repair the truck in time to pick up the tourists who will be staying at their family’s hotel. 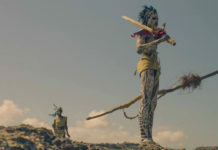 As they struggle to find the means necessary to conceal the accident, the siblings interact with host of colorful locals, including a butcher, Rastafari drum makers, a pawn shop and even a witch doctor, on their journey of reconciliation around the island. With a story inspired by his good friend’s Jamaican mother, who had a similar collision with a cow, Oliveros, moved his new version of this tale to his native Colombia, where he intentionally showcases Old Providence’s Caribbean lifestyle through the landscape, its people, and naturalistic dialogue. 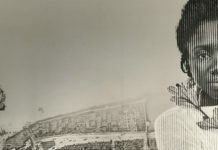 Oliveros, chose to do “Bad Lucky Goat” as a comedy because of what he sees as an overexposure of tragedy in Latin American cinema. As he stated in a 2017 Sydney Latino Film Festival interview, “It’s always the same typical, traditional film about the lower class and how they suffer and how it’s super dramatic. I believe we have to break those preconceptions…” And “Bad Lucky Goat” indeed breaks all expected notions imbuing Caribbean and Latin American cinema. 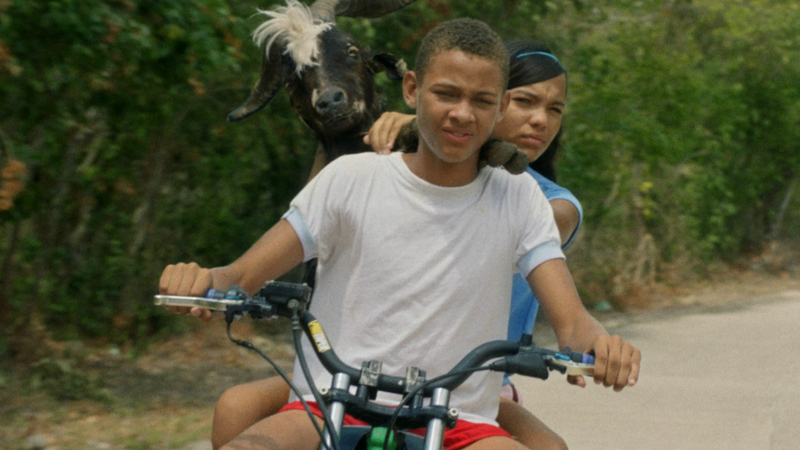 Heralded as “A genuine crowd pleaser,” and “One of the best debuts of the year,” by Indiewire’s Eric Kohn, “Bad Lucky Goat” has been on an international film festival run and has finally found its way to Brooklyn through the Caribbean Film Series. Co-presented by the Caribbean Film Academy, BAMcinématek and the Brooklyn Cinema Collective, “Bad Lucky Goat” will show at BAM Rose Cinemas on Tuesday April 10 at 7:30 pm, and will be preceded by Jamaicans filmmaker Michelle Serieux’s, short film, “Sugar.” A Q&A with both Oliveros and Serieux follows. 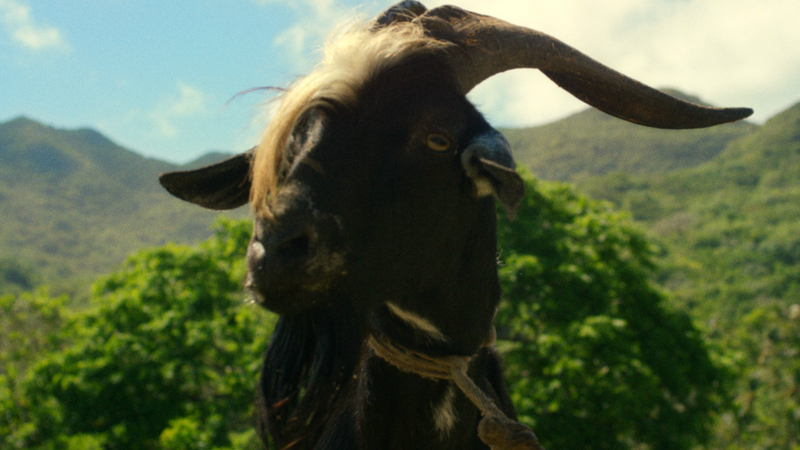 A collision with a goat sends two incompatible siblings on a 24-hour odyssey to fix their family’s truck in this wondrously offbeat comedic adventure set amid the lush landscapes of Colombia’s Caribbean coast. A young Jamaican woman working at a wealthy tourist resort faces a crisis of conscience when a couple seems to be the answer to her financial predicament. Established in 2012, CaFA, is a NY not-for-profit created to share Caribbean films and support Caribbean filmmakers, in the region and the diaspora. 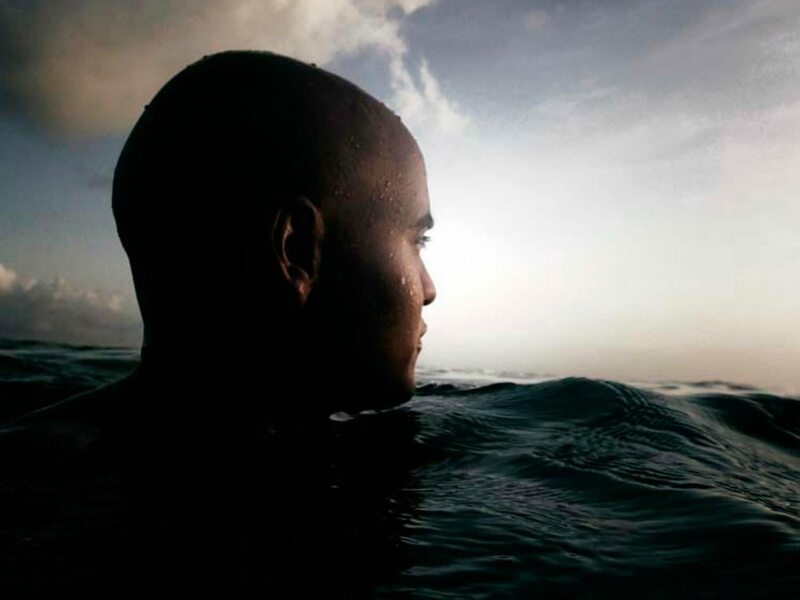 CaFA’s work provides platforms for the exhibition, production, and distribution of Caribbean stories, worldwide. The Brooklyn Cinema Collective (BkCC) creates theatrical feature film presentations and supplies media advocacy and consultancy services for Black and POC filmmakers. 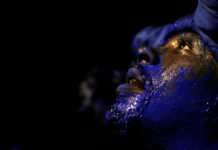 The BkCC’s services are a direct offshoot of The Luminal Theater, an African diaspora film centered microcinema set to open in Bedford-Stuyvesant, Brooklyn. Since 1998 BAM Rose Cinemas has been Brooklyn’s home for alternative, documentary, art-house, and independent films. Combining new releases with BAMcinématek year-round repertory program, the four-screen venue hosts new and rarely seen contemporary films, classics, work by local artists, and festivals of films from around the world, often with special appearances by directors, actors, and other guests. BAMcinématek has hosted major retrospectives of filmmakers like Spike Lee, Chantal Akerman, John Carpenter, Manoel de Oliveira, Luis Buñuel, King Hu, and Vincente Minnelli (winning a National Film Critics’ Circle Award prize for the retrospective), and hosted the first US retrospectives of directors Arnaud Desplechin, Hong Sang-soo, Andrzej Zulawski, and Jiang Wen. Since 2009 the program has also produced BAMcinemaFest, New York’s home for American independent film, and has championed the work of filmmakers like Janicza Bravo, Andrew Dosunmu, Lena Dunham, and Alex Ross Perry. The 12-day festival of New York premieres, now in its ninth year, ran from June 14—25, 2017. Steinberg Screen at the BAM Harvey Theater is made possible by The Joseph S. and Diane H. Steinberg Charitable Trust. Delta is the Official Airline of BAM. The Brooklyn Hospital Center is the Official Healthcare Provider of BAM. BAM Rose Cinemas are named in recognition of a major gift in honor of Jonathan F.P. and Diana Calthorpe Rose. BAM Rose Cinemas would also like to acknowledge the generous support of The Peter Jay Sharp Foundation, The Estate of Richard B. Fisher, Brooklyn Borough President Eric L. Adams, Brooklyn Delegation of the New York City Council, New York City Department of Cultural Affairs, New York State Council on the Arts, and Bloomberg. Additional support for BAMcinématek is provided by The Grodzins Fund, and the Julian Price Family Foundation. Your tax dollars make BAM programs possible through funding from the City of New York Department of Cultural Affairs and the New York State Council on the Arts with the support of Governor Andrew M. Cuomo and the New York State Legislature. The BAM Next Wave Festival is supported in part by an award from the National Endowment for the Arts. The BAM facilities are owned by the City of New York and benefit from public funds provided through the New York City Department of Cultural Affairs with support from Mayor Bill de Blasio; Cultural Affairs Commissioner Tom Finkelpearl; the New York City Council including Council Speaker Melissa Mark Viverito, Finance Committee Chair Julissa Ferreras, Cultural Affairs Committee Chair Jimmy Van Bramer, Councilmember Laurie Cumbo, and the Brooklyn Delegation of the Council; and Brooklyn Borough President Eric L. Adams. BAM would like to thank the Brooklyn Delegations of the New York State Assembly, Joseph R. Lentol, Delegation Leader; and New York Senate, Senator Velmanette Montgomery. BAM Howard Gilman Opera House, BAM Rose Cinemas, and BAMcafé are located in the Peter Jay Sharp building at 30 Lafayette Avenue (between St Felix Street and Ashland Place) in the Fort Greene neighborhood of Brooklyn. BAM Harvey Theater is located two blocks from the main building at 651 Fulton Street (between Ashland and Rockwell Places). Both locations house Greenlight Bookstore at BAM kiosks. BAM Fisher, located at 321 Ashland Place, is the newest addition to the BAM campus and houses the Judith and Alan Fishman Space and Rita K. Hillman Studio. BAM Rose Cinemas is Brooklyn’s only movie house dedicated to first-run independent and foreign film and repertory programming. BAMcafé, operated by Great Performances, offers varied light fare and bar service prior to BAM Howard Gilman Opera House evening performances. Car: Limited commercial parking lots are located near BAM. Visit BAM.org for information. For ticket information, call BAM Ticket Services at 718.636.4100, or visit BAM.org.